So you set up your Kindle collections... but what if you want to change something about them? You can rename a collection quite easily! Scroll to your collection, right click and you'll see this page (screenshot left). Scroll to rename and an edit box will pop up. 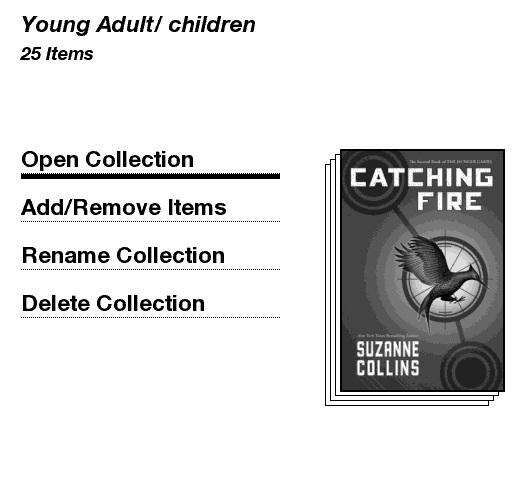 From this page you can also add or remove books or delete the collection. 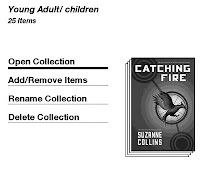 Note that deleting the collection does not delete the books that are contained within. They'll stay in other collections or end up back on your Home page.